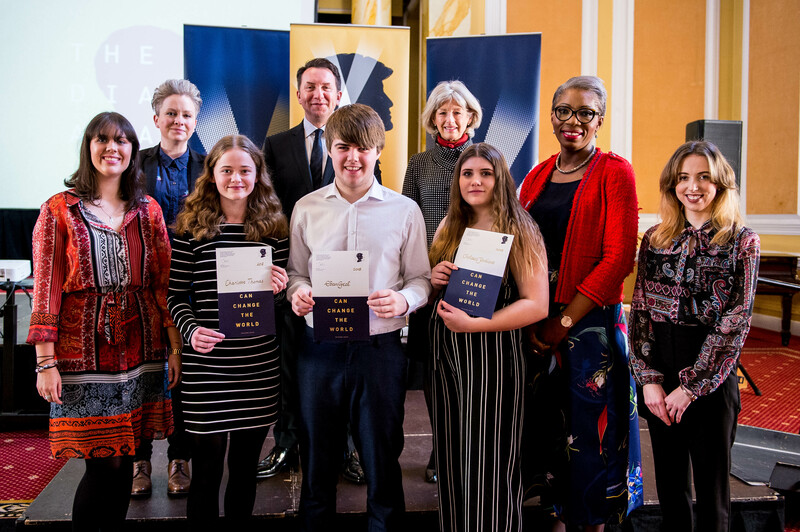 30 young people from across Wales will be publicly honoured with The Diana Award for going above and beyond in their daily lives to create and sustain positive change. Today 30 inspirational children and teens, from across Wales, will be presented with the highest accolade a young person can achieve for social action or humanitarian efforts – The Diana Award. Established in memory of Diana, Princess of Wales, the Award is given out by the charity of the same name and has the support of both her sons, The Duke of Cambridge and The Duke of Sussex. Passionate about sport inclusivity, Eban is an instrumental ambassador for creating opportunities in his school and wider community. Eban leads several sport and fitness clubs in his community, inspiring people of all ages and backgrounds regardless of their ability, race or gender. Eban has volunteered hundreds of hours to make this happen and aims to get everyone hooked on sport for life, making sport accessible to all. After experiencing the care system, Chelsea has provided support and assistance in giving young people in care a voice within their local community for over a year. Chelsea continues to bring different people in her community together creating unity, aiding in intergenerational coffee mornings, community engagement sessions and community cooking sessions. As an ambassador of The Roots Foundation Wales, Chelsea has made herself a strong figure in her community, demonstrating that young people with experience in care can achieve great outcomes for themselves and others. Everyday Chelsea strives to break down the stigma attached to being a young person in care. Inspired by her own battles with mental health, Charlotte has given up countless hours to volunteer in hospitals to support those suffering with anxiety and mental health issues. Dedicated to improving mental health for young people on a higher level, Charlotte has presented to MPs, councillors and headteachers about the importance of positive mental health in schools and has called for their support in implementing measures that will empower young people. She is a shining light. Through her continued work, she is making a difference and ensuring that every young person will have access to the mental health support that they need and deserve. After Samuel became injured in the middle of a rugby match at nine years old, he was left with a spinal cord injury. Determined to use his personal experiences for the better, Samuel became a youth advisor, influencing and shaping services for other young people like him. After his successful rehabilitation, Samuel became a young wheelchair skills trainer, supporting other young people to develop and improve their skills using their wheelchair. Sam continues to transform his community and believes that after a spinal cord injury you can still do anything you want to do. He is now working to help build that same confidence in others. As a volunteer and peer educator with the Healthy Image Project, Paige has been instrumental in promoting food and health education for many young people. From providing training on smoking education, healthy eating and safe drinking, she has overcome her own anxiety to become a passionate trainer capable of educating others on good health practices. She has provided training in the UK, Austria and Spain, and as a volunteer has developed skills which will allow her to make a continued difference for years to come. Passionate about sport inclusivity, Eban is an instrumental ambassador for creating opportunities in his school and wider community. Eban’s vision and commitment has seen him drive a committee of hardworking volunteers, who have now established two junior football teams where there were previously none. Eban leads several sport and fitness clubs in his community, inspiring people of all ages and backgrounds regardless of their ability, race or gender. Eban has volunteered hundreds of hours to make this happen and aims to get everyone hooked on sport for life, making sport accessible to all. As a trainer with Saltney Football Club, Tegan works passionately on weekly training sessions to inspire young people to not only be better sportspeople, but better citizens committed to making a positive change in their communities. Through her work, she has become a role model for those involved in the football club and the wider community, and has been praised for the positive impact that she has made. She goes the extra mile and has raised hundreds of pounds for the organisation and has since been recognised by her rotary club as a local hero who makes a massive difference in Saltney. As a Sargent with St John Cymru, Caitlin acts as a role model for younger cadets working with the charity. Through training sessions and pastoral support, Caitlin has supported young people to become first aiders capable of saving lives, whilst also supporting them with life skills that will empower them for their futures. She has raised funds for the charity to purchase vital new life-saving equipment, which is making a difference not just in her local community but across the country. Her passion for the cause is endless, and even when there are challenges elsewhere in her life, she always steps up to help make a difference. The Diamond Project is a committed and inspirational group of young people who have overcome personal traumas to come together and support each other at Swansea University. As a group, they have developed and started weekly support meetings, and have since reached out to mentor other young people that can benefit from their support. They are passionate about tackling issues that affect disadvantaged children and are harnessing their lived experiences to support those facing similar traumas. They are an example of young people overcoming disadvantage to become the best they can be and are a true inspiration to others in similar situations. The Egypt Centre Young Volunteers are made up of an inspirational group of young people, aged 10–17 who help deliver many services in the museum. They greet and guide visitors, demonstrate public activities such as mummification, object handling, and the ancient board game Senet. They help bring ancient Egypt alive for all visitors and are credited with helping widen participation through their own diversity and delivery styles. The programme is truly youth lead with the young people taking over the museum every Saturday, with adults there in a purely supervisory role. WANT TO FIND OUT MORE ABOUT THE DIANA AWARD?